Most law enforcement tactics involve a response to an event and a lack of prevention. Once an event has occurred they collect the information and details they can in order to solve a crime. However, community policing is a proactive and interactive way to reduce crime incidents. By hiring extra security the police department can work with extra eyes and ears to help prevent crime and build the community. "Community policing is a philosophy that promotes organizational strategies, which support the systematic use of partnerships and problem-solving techniques, to proactively address the immediate conditions that give rise to public safety issues such as crime, social disorder, and fear of crime" (cops.usdoj.gov). Reliance Security Services provides Community Policing Services for Special Service Areas or SSAs. There are over 65 SSAs all over the City of Chicago. Reliance Security Services is continuing to work with SSA 60 the Albany Park and Irving Park Area. 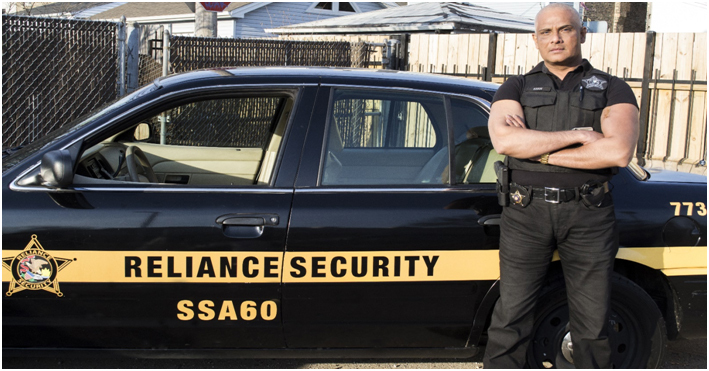 Our Reliance Security Community Protection Officers - CPOs work directly with local law enforcement and businesses, to conduct foot and mobile patrols with an emphasis on protection, customer service and community building. Reliance Security Services does not merely observe and report as most other security companies do. We actually take corrective actions such as detainment, arrests, signed charges and attendance in court to ensure that any perpetrators are prosecuted properly. When it comes to training our Community Protection Officers (CPOs) Reliance Security Services has no equal. We are licensed training facility through the State of Illinois – Illinois Department of Financial and Professional Regulations – IDFPR. Reliance Security's Training Academy is led by our Certified Protection Professional (CPP). A CPP is, "A professional that has demonstrated his/her competence in the areas of security solutions & best-business practices through an intensive qualification and testing program. As a result, he or she has been awarded the coveted designation of CPP and is recognized as a proven leader in their profession." – ASIS International. Address: 3104 W Irving Park Rd.